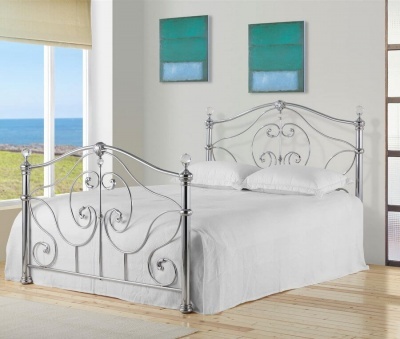 Stylish bed frame with simple straight lines. Rich black finish gives a sophisticated air to the Meridian bed frame. Supportive headboard and a low foot end. Robust build with a sprung slatted base for extra comfort. Internal frame is self-supporting and does not require centre support legs. Two year manufacturers product guarantee for added peace of mind.